An early supergroup borne out of the prolific Munich scene fronted by American-German Klaus Ebert featuring studio musician Keith Forsey on drums (Hallelujah/Amon Düül II), bass genius Lothar Meid (Amon Düül II), Jörg Evers (guitar) from Embryo. 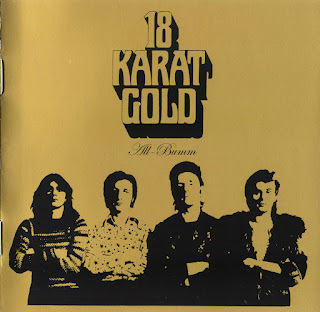 The idea behind 18 Karat Gold seems to have been to present Krautrock in a commercial dilute form to the pop public. Much of the time 18 Karat Gold made their living by working as pop singer Peter Maffay's backing band. 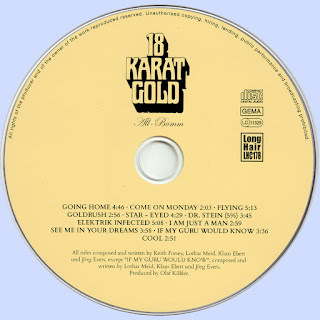 Their sole album contained a few minor surprises.